More of Zapiro’s magic available at www.zapiro.com. I have taken time to reflect on last week’s vote of no confidence against our President. Tuesday, 8 August 2017 will go down in South African history as the day the ANC’s moral pulse was all but extinguished. Going into the vote, it was doubtful whether much of a moral pulse existed at all. Coming out of the vote, the pulse was there thanks to the actions of 25-35 ANC MPs but that pulse is now weak and fading. The Speaker of the National Assembly showed fortitude in agreeing to a secret vote. Even those who abstained from the vote offered us a glimmer of hope of the moral conscience that does exist within ANC branches and thousands of rank and file ANC members. Despite party-focused instruction and barely veiled threats from their leaders these righteous members of the ANC stood their ground. They stood true to their oaths as MPs, choosing to defend the rights of those who elected them to public office, instead of defending the immoral and indefensible. As proud as I am of these MPs the truth is that there is little cause for celebration. In those voting booths, we were all confronted with the same choice, to choose between right and wrong. To choose between self-enrichment and the service of our people. 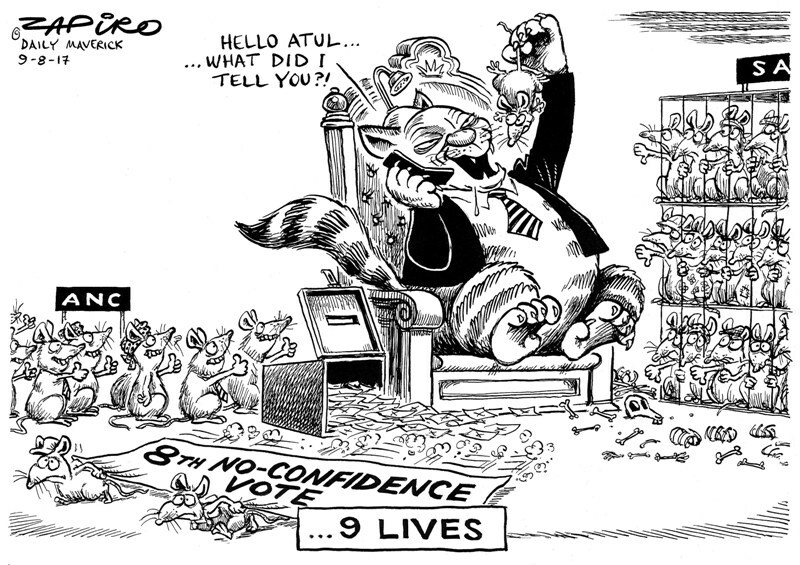 Unfortunately, the majority chose to endorse the steady and relentless destruction of the ANC. The majority chose to continue the reign of a kleptocracy that has brought our once mighty and revered ANC to its knees. The ANC is a shadow of its former self and while political parties must change and grow with time, we have gravely erred by losing our moral compass. Once again, our party chose to side with a President who has consistently failed to uphold, defend and respect the constitution. In the recent past, it has become evident that not only will most of the ANC’s MPs choose to defend an immoral leader, many of those will also choose to attack those who side with morality and honesty. I am accused of extreme ill-discipline and the condemnation of me by the party was swift and unequivocal. No time was wasted in charging me but interestingly, men whom have similarly criticised the leader of our party remain untouched. We have a Deputy Minister within our ranks who has admitted to having assaulted a woman and yet he’s not been suspended from his position nor has the party initiated any disciplinary action against him. 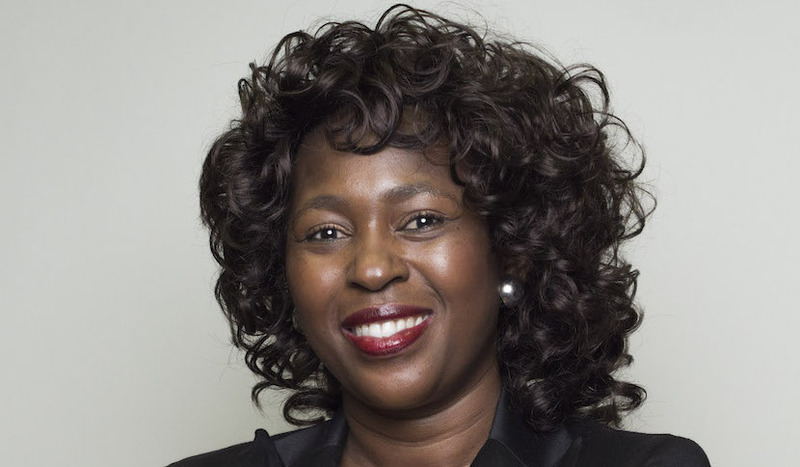 Even the ANC Women’s League has chosen not to call for the Deputy Minister’s removal, with the astoundingly insulting argument from the League’s president that there are others within government that are “…actually worse than him.” This from the leader of the Women’s League in Women’s Month. The callousness of the statement is astonishing. The ANC’s application of disciplinary action not just inconsistent, it appears to be largely informed by how badly you’ve annoyed the most powerful. Action is taken decidedly quicker if you’re a woman, except of course if you’re the woman on the receiving end of the beating. These are the kinds of things that have weakened and continue to weaken our movement. We are not weakened by me speaking out against corruption and patronage. We are weakened when our leaders choose to shut down their critics. We are weakened when currying favour becomes our currency and when those who break the law are literally given back doors and gentler treatment to spare egos. Some have tried to argue that the cause of our party’s weaknesses are foreign powers and influences. Our nation’s sovereignty should be of paramount concern for all of us but the only “foreign power” that has sought to influence our party and our country is the force of the Gupta family. These people have made it their business to capture many of our comrades in the highest levels of government and our movement’s leadership. A lethal combination of corruption and state capture has a stranglehold on this country and that will not change until this government chooses to actively root out those propping up and benefitting from state capture. Those of us who supported the vote of no confidence have been accused of disloyalty. As I prepare to face my disciplinary process, it remains clear to me that the greatest disloyalty possible by a member of the ANC, is abandoning the people who elected us to power. I’m very grateful for the enormous support that I have received from so many South Africans. I will continue to discharge my duties as a MP with conviction and a steely focus on serving the people of South Africa. They gave us their votes, it’s our duty to fulfil our promises and to channel every cent of government funding to better the lives of all our people, not just a powerful few. 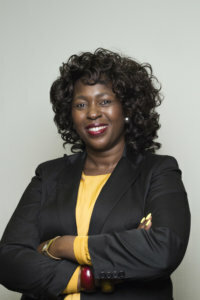 Makhosi Khoza is an ANC MP.